The SuDoKu Cube combines the intellectual intrigue exercise of Sudoku with the dexterity and skill of the Rubik’s Cube. 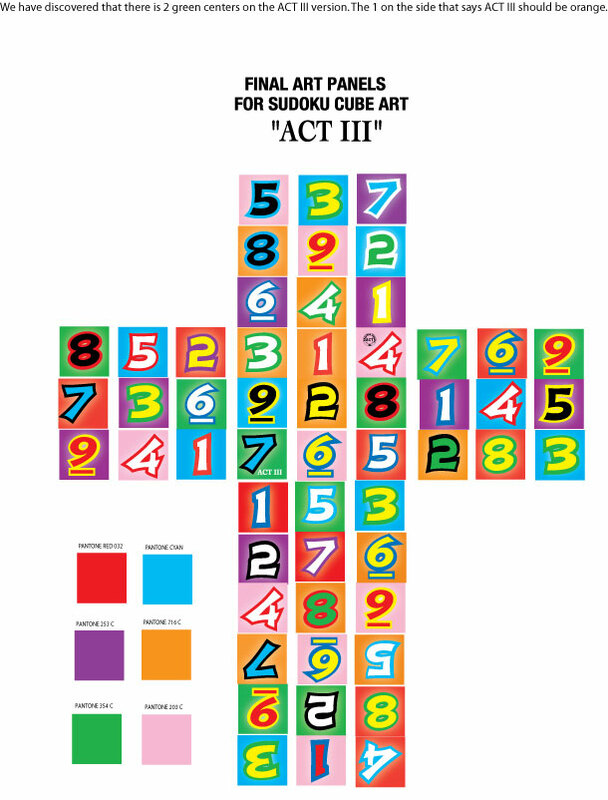 Available this fall at Back to Basics and FAO Schwartz, the SuDoKu Cube is manufactured by American Classic Toy (ACT), a company dedicated to applying new ideas to existing products and e-issuing classic American toys. ACT produces original and creative products from the original molds of to original specifications. 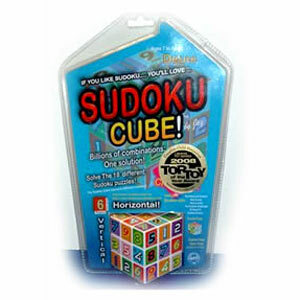 The Sudoku Cube was invented by Jay Horowitz, a man who has spent his career applying new ideas and products to existing Toy Industry tooling. He is also the president of American Plastic Equipment, Inc., the world’s largest mold dealer that serves factories around the world. Jay is the Director of Ideal Classic toys. While witnessing an avid Sudoku player during a flight, Jay was inspired with the idea of adapting the 2 dimensional paper puzzle on to a 3 dimensional Puzzle Cube. After much planning and help from a friend and professional toy buyer, Ken Moe, the SuDoKu Cube was created. The concept of the Sudoku Cube is playing the 2 dimensional Sudoku on a 3 dimensional puzzle cube. To do so, 9 single digit numbers, one of each, must be in a line or on a surface. The line may be vertical or horizontal; not diagonal or sideways. To make a line of 9 digits on the SuDoKu Cube, 3 contiguous faces or 3 sides of the cube must be used. Therefore, the 3 numbers on 3 contiguous sides must form a line. 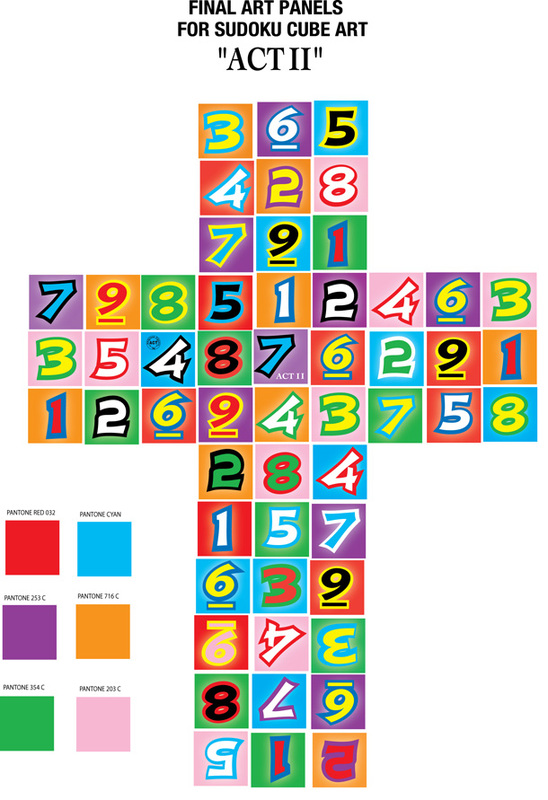 The SuDoKu Cube can be played at any of 9 different levels (see chart). Based on Sudoku and the puzzle Cube, two immensely popular games, the SuDoKu Cube is available online now for order and will be available this fall at Back to Basics, FAO Schwartz, and other fine retailers nationwide.